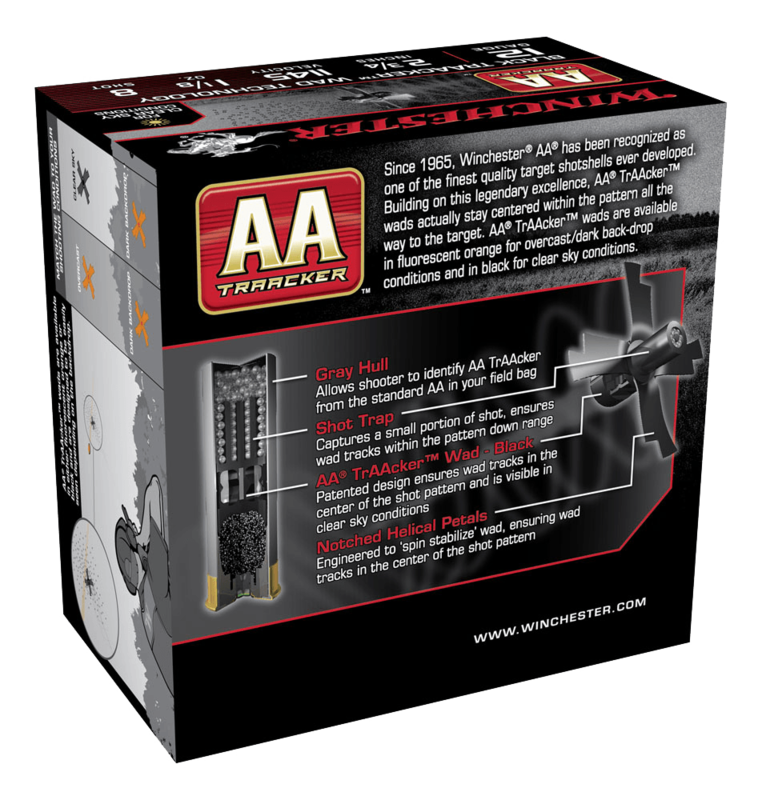 Winchester AA shotshells have long been known as some of the absolute best target shotshells available. 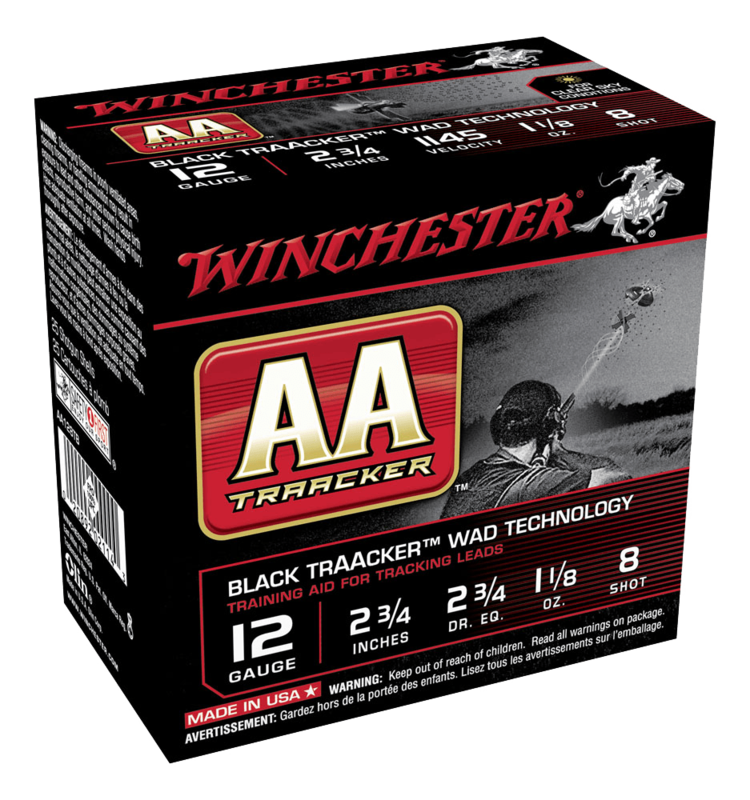 Today, Winchester has developed a revolutionary target shotshell to be added to the AA family. 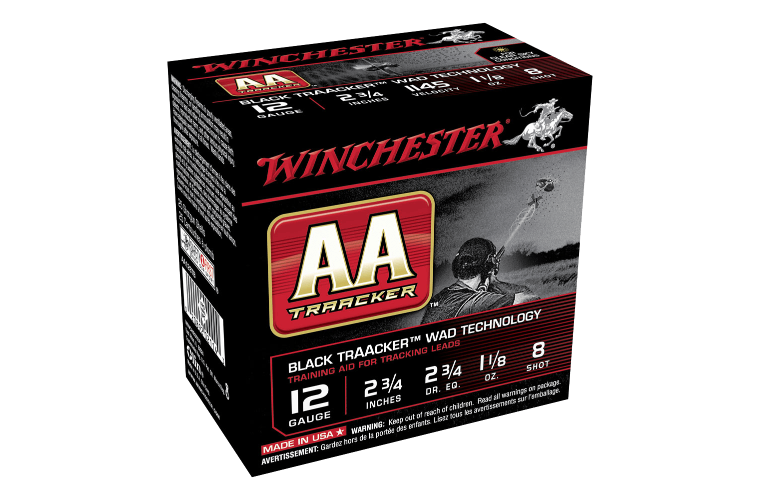 Winchester AA TrAAcker shotshells feature a specially designed wad that captures a small amount of shot to ensure the wad trAAcks the shot cloud down range. Notched helical wad petals stabilize the wad forcing it to travel in the center of the shot cloud. This allows the shooter to better understand misses and is an excellent training aid. 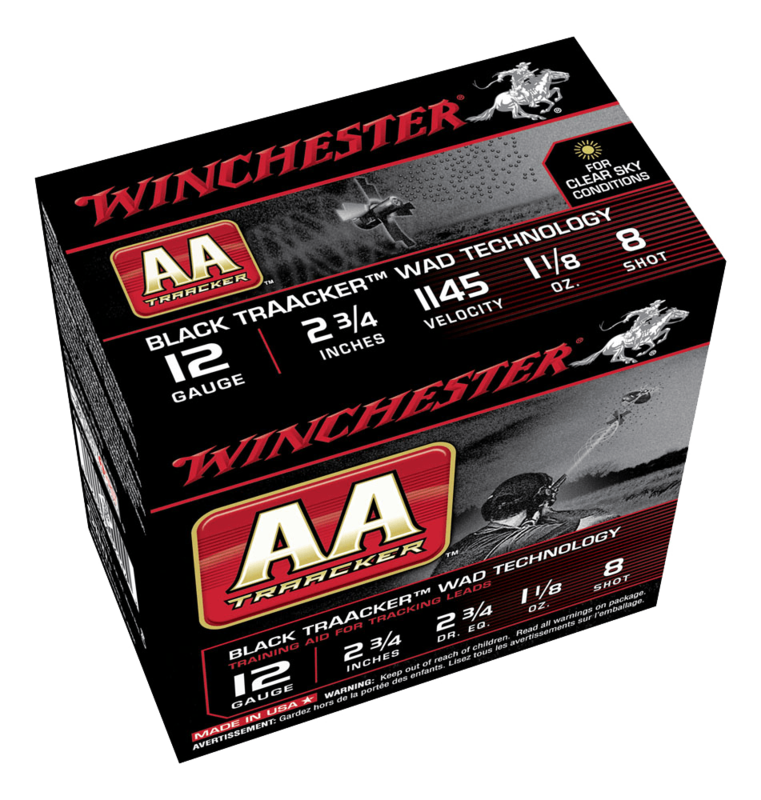 Winchester AA TrAAcker shotshells are available with either a black or bright orange wad. The black wad is perfect when used in bright light conditions while the orange wad is best when used in low light conditions such as cloudy days. Uniquely colored hulls allow you to easily identify and differentiate TrAAcker shotshells in your field bag.